We believe lemons are the zest of life! They bring vibrancy to our inner and outer being by invigorating our senses with their tangy flavour, boosting aroma, and uplifting colour, not to mention their nutritional profile offering numerous beauty, health and wellness benefits. 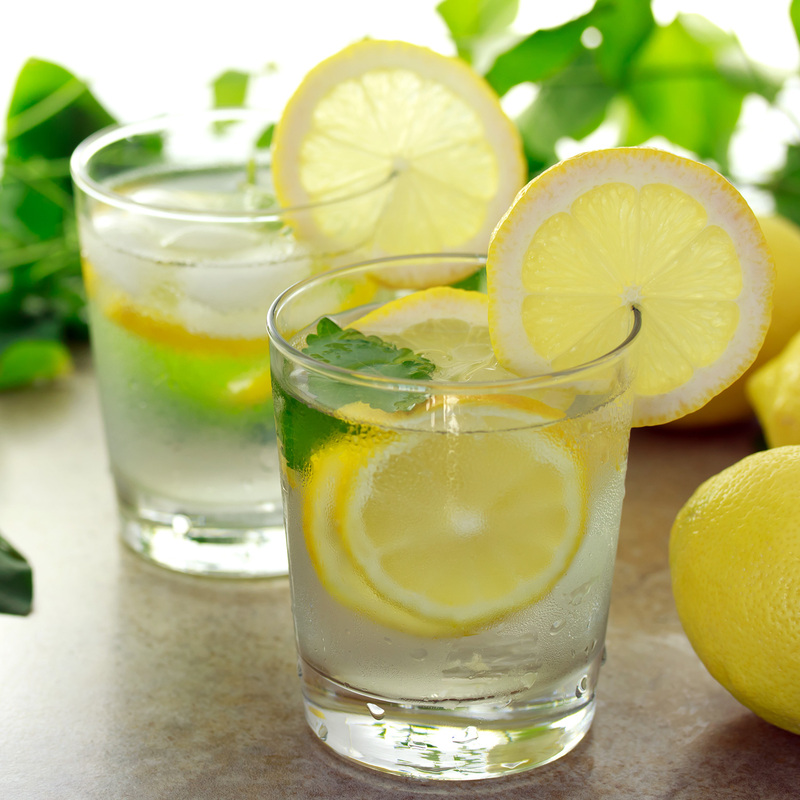 Lemon is known for its ability to cleanse, alkalise and flush toxins from the body. Internally, this includes major organs such as the Liver and Kidneys and in particular benefitting the digestive system. While externally, flushing toxic buildup from the skin and scalp. At probioskin.com our joy is to source the most pure organic aromatherapy lemon essential oil. Carefully and precisely harvested from certified organic farms ensuring top grade premium quality and maximum potency. As an aromatherapy essential oil, lemon is an antioxidant and contains anti-fungal, anti-bacterial, anti-viral, anti-inflammatory, circulative, astringent, immune stimulant, diuretic, alkalising, digestive, expectorant and calming properties. Lemon aromatherapy essential oil is calming in nature. This means, it helps to remove mental fatigue, exhaustion, dizziness, anxiety, nervousness and nervous tension. It has the ability to refresh the mind by creating a positive mindset and removing negative emotions, increase concentration, memory and alertness. Withs a fresh, clearing, uplifting aroma Lemon will mix well with other essential oils. Pure Lemon Oil is a cleansing, refreshing and rejuvenating ingredient in our Natural Botanical Skincare. It is an excellent remedy for increasing the lustre of dull skin, decongesting and brightening tired skin, lightening age and colour spots and toning excessively oily skin. Antiseptic properties help in treating and healing pimples, blackheads, congested or blocked pores, inflamed skin and various immune skin disorders. The vitamin C in Lemon is a wonderful antioxidant working to neutralise free radicals and boost collagen production. Lemon is an excellent cleanser leaving the skin feeling fresh, clean and calm. Safe to use when in Mayella™ Natural Botanical Skincare on all skin types, even the most sensitive skin conditions and will help to soothe any sensitivity and irritation. Pure Lemon Oil is a carminative and when ingested is useful in the treatment of various esophagus and gut problems like indigestion, acidity, stomach upsets and cramps. Gently stimulates the gall bladder and triggers essential metabolic processes so your body switches on and is ready for digestion and optimal absorption. Highly alkalising and known for its therapeutic properties, fresh lemon helps to strengthen your immune system, cleanse your stomach, and is considered a blood purifier. Adding 1/2 a freshly squeezed Lemon to your freshly made juice or smoothie adds taste and will assist in absorption of nutrients. Containing many nourishing elements like vitamin C, vitamin B, phosphorous, proteins, and carbohydrates. Lemon is a fruit that contains flavonoids, which are composites that contain antioxidant and cancer fighting properties. Fresh Lemon also has a rich vitamin and mineral content and citric acid offering a wonderful boost to the body’s immune system. Furthermore, lemon stimulates white blood cells increasing your body’s ability to fight off disease. It helps to prevent diabetes, constipation, high blood pressure, fever, indigestion and many other problems, as well as improving the skin, hair, and teeth. The power of Lemon – invigorating our senses with their tangy flavour, boosting aroma, and uplifting colour, there are no limitations to how you can enjoy the healthy benefits of Lemon. Squeeze 1/2 fresh lemon over your dinner to bring out the flavour of your meat and vegetables or salad more intensely and to activate your digestive enzymes, stomach acids when eating for more efficient digestion. 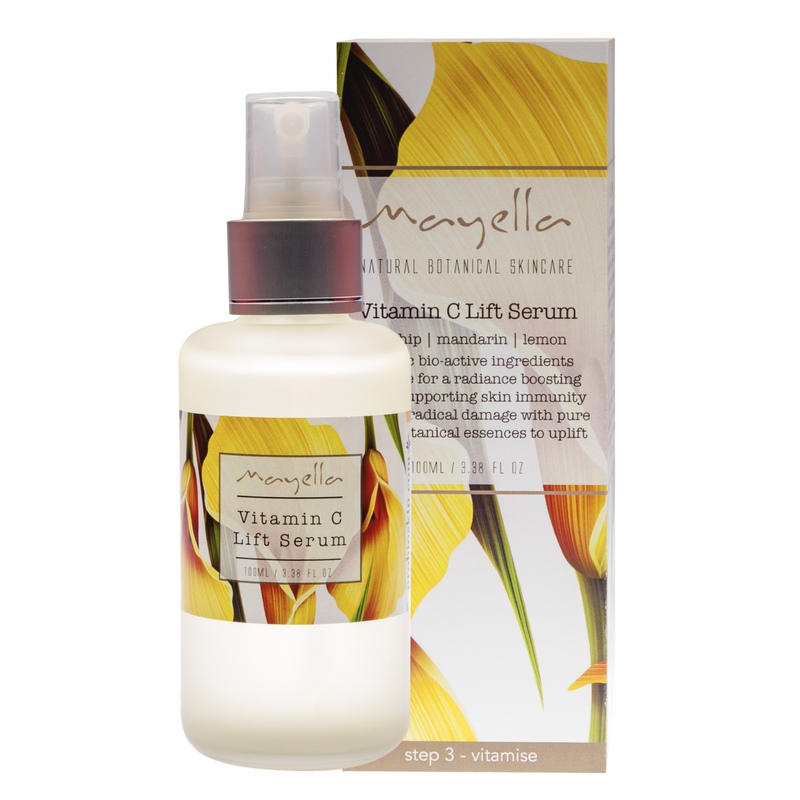 When cleansing with Mayella™ Cleansing Serum apply and massage gently into your skin. Leave on for 5 minutes, perhaps while you are in the shower or brushing your teeth, as a BioMask to maximise the healing, cleansing benefits for your Skin. 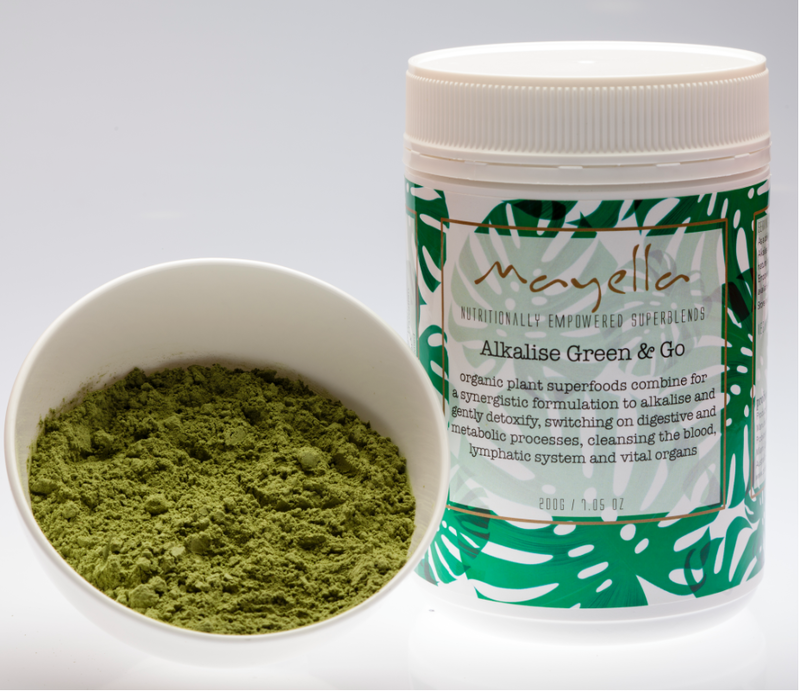 Add Mayella™ Alklaise Green & Go to your mayonnaise or salad dressing to increase the nutritional profile of your meal and create a smooth, creamy freshness to your salad. And a lovely shade of healthy green goodness to your meal. Colour coordination has no boundaries! Hydrate – The Hangover Cure The Good Guide meets Amanda Parker of Probioskin! The Good Guide meets Amanda Parker of Probioskin!